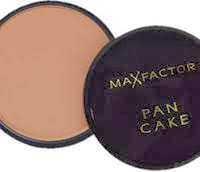 Lust The Beauty: Max Factor Pan Cake foundation review! Remembering once when a friend of mine decided to do my makeup at school one day sparked me to buy this. She used this on my skin and I remembered that it had excellent coverage, and seeing as it was only $7.95, I thought "why the hell not?" I decided to do a little reading up on how to use it etc (because it has to be moistened before you can use it - it's not a powder foundation people!) and found out that it used to be used on theatre actors because of the coverage level. It said that it is still made now for people who have very uneven skin tone. So basically, coverage should be top notch. It did give great coverage, but I'm still a bit confused about how to use it. On the website I found it said to give the pan a "spritz" with water and also moisten the sponge. To let the water "absorb" into the pan before using it, and to wring out excess water from the sponge. Why can't it come with a water spraying bottle for use then? It's not going to be very handy on the go, unfortunately, and I don't think I got the fullest coverage I could have (but that could be because I'm using it wrong - why do they make it so confusing!). It gave a nice effect though. Very soft looking, porcelain like matte finish. Like a china doll. Soft and supple looking. Very beautiful. 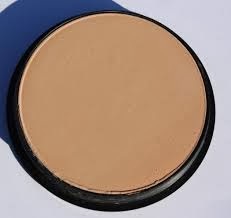 But seeing as I couldn't get the coverage to the maximum, and I was going to a club, I put another light cover of foundation over the top where I have redness or blemishes. When buying this, don't be fooled by the colour in the pan. The colour comes out two shades lighter once moistened, so don't fret like I did when I grabbed the lightest one "fair", and saw how dark it was! If you've got the time to experiment and fiddle around with moistening a powder, or you are desperate to cover some uneven skin, why not get this? It's pretty cheap - even cheaper if you're lucky to find it on sale - and it does give a lovely finish. It does also say you can apply more layers, so the more you go over it, the higher coverage you can get from it. I just didn't have the time or patience to be fiddle-farting around with a powder-to-liquid type of thing with moistening of this that and the other and blah blah. I just wanted to be able to slap it on and go. Nevertheless, I'll no doubt play around with this some more, and if I come across any holy grail way of using this little baby, I'll be right here to tell you all! 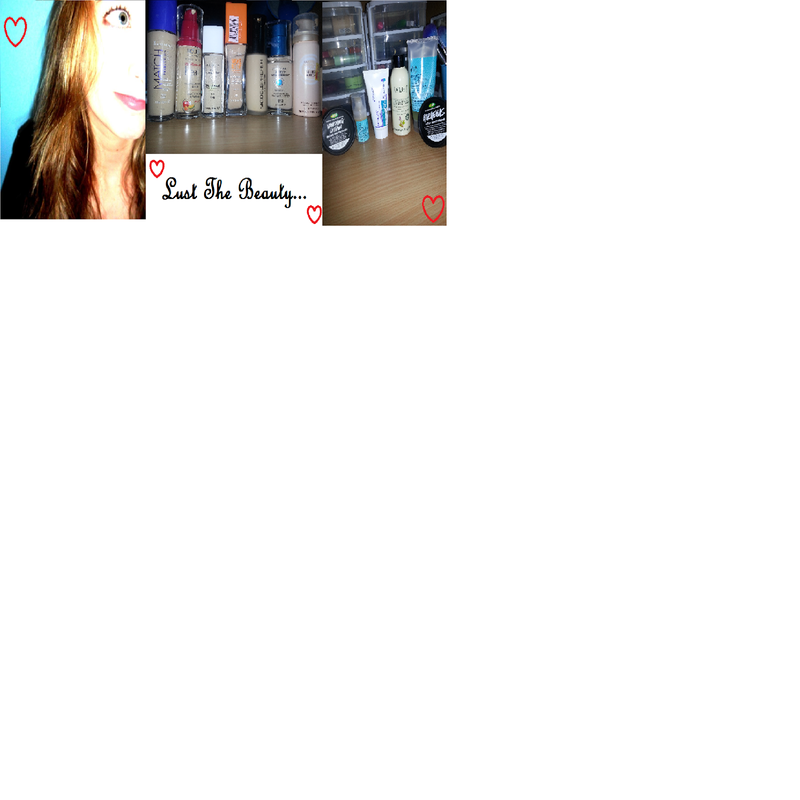 Stay tuned for an online haul! From eBay and Strawberry net! Hopefully this week (if everything arrives when it should - you know how online shopping is).